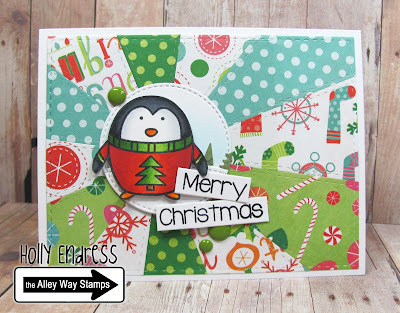 It's time for some Holiday fun with the Alley Way Stamps! Today I'm using the super cute set Penguins on Parade and the Coordinating set Everyday's a Holiday. The Sentiment is from Happy Everything. I created the background with the Large Sunburst Die from YNS and some patter papers I had in my stash. Once I created the background I added it to a White Card base and then I die cut a circle and added a border of trees from a Lawn Fawn die and some light blue shading with a Copics. I adhered the circle to the card front and stamped the penguin image on to a piece of White card stock and colored it in with Copics. I fussy cut him out and popped him up on the circle with some dimensional adhesive. 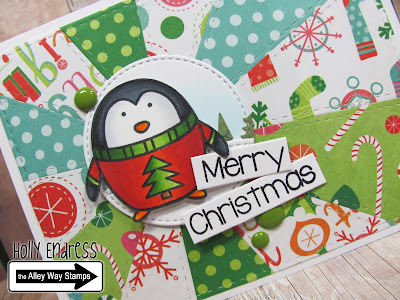 I stamped the sentiment from Happy everything and added it to the center. I brought in a bit more green with some Gumdrops. 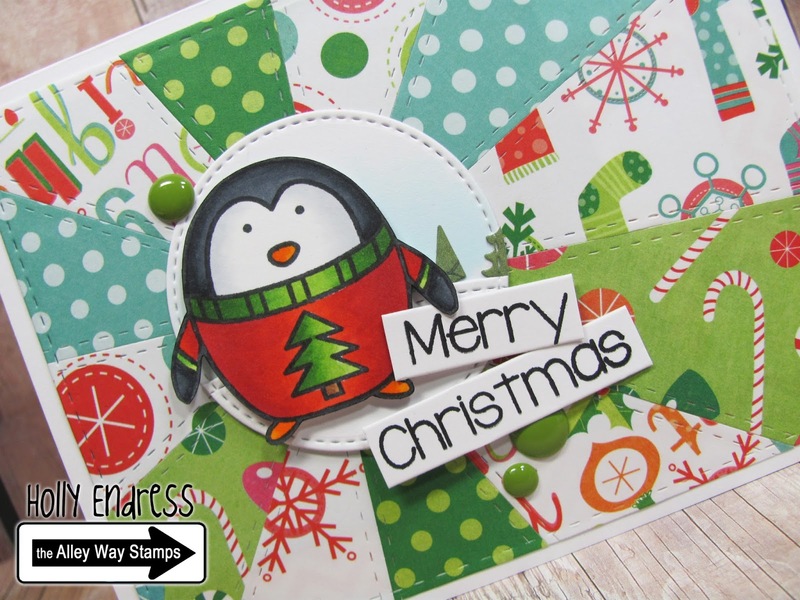 Head over to the the Alley Way Stamps blog for more inspiration. Thanks for stopping by! !